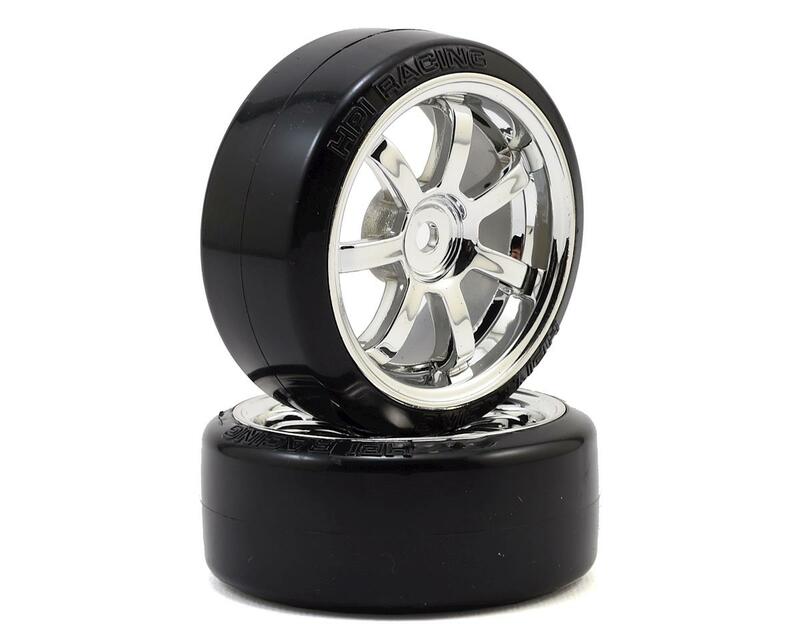 This is a pack of two HPI 26mm T-Drift Tire mounted on Rays Chrome 57S-Pro Wheels with a 12mm Hex and zero offset. Get sideways fast with HPI T-Drift tires mounted on replica Rays 57S-Pro chrome wheels! Drifting is all about fun and style, and the easiest way to get into the drift spirit is by bolting on a set of pre-mounted HPI T-Drift tires. 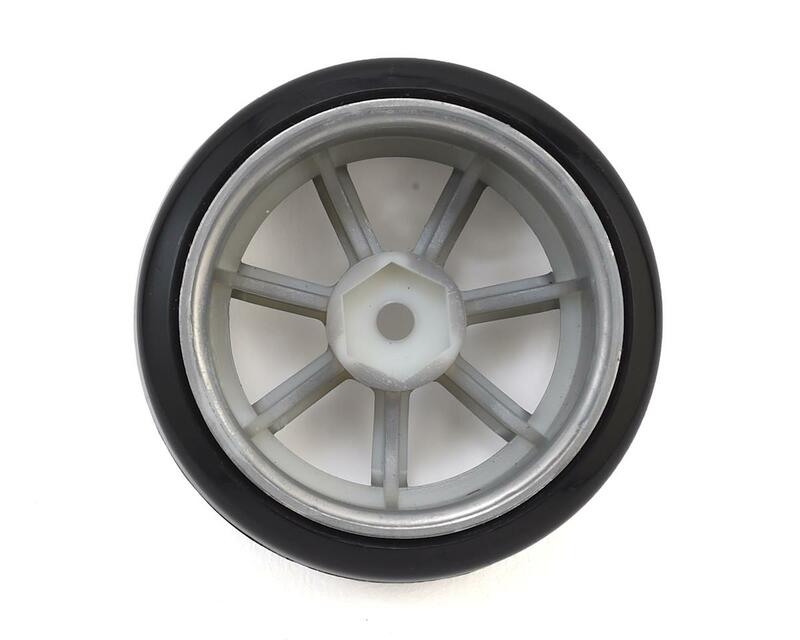 This combination of wheels and tires are standard on the easy to drive E10 Drift. Securely mounted on officially licensed Rays wheels that look exactly like the wheels professional drift drivers use, there is no easier or faster way to get into drifting for fun and prizes! The hard compound T-Drift tyres last a long time on tarmac, giving you hours of fun! Sold in pairs. 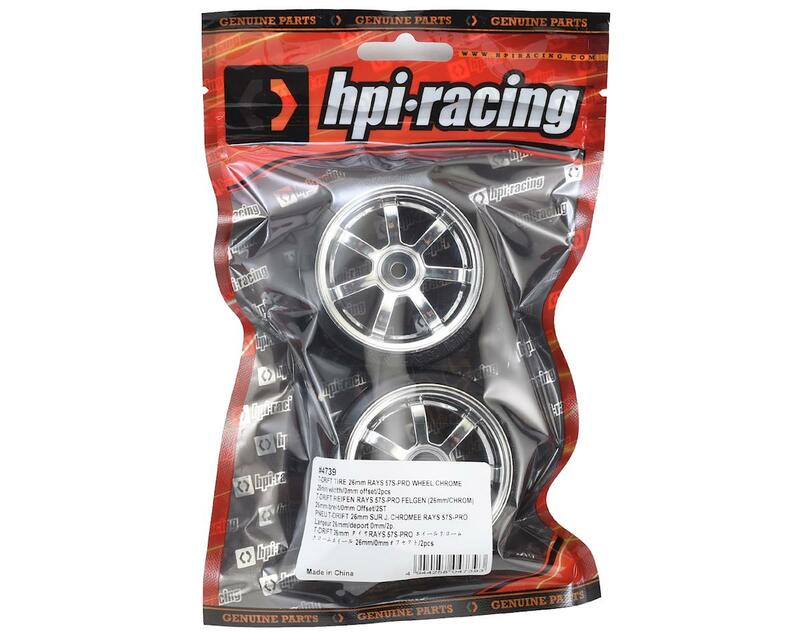 To get the tyres on their own and mount them on any wheels you choose, get a set of HPI4406 T-Drift Tyres!